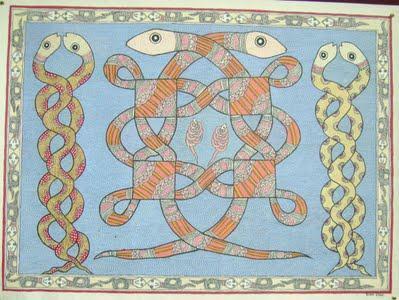 The wisdom of the Mithila Paintings is to get the society of the Madhubani painters and their dependings, promoting the multi-specialized Madhubani paintings etc., This goal of the mithilasmitha is visible even by the name of itself. Because, the meaning of the word, Mithia 'asmitha' is, the Mithila's pride. 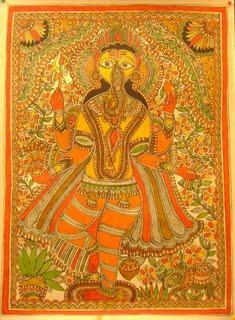 This meaning of the word, Mithilasmitha states that, the motivation of this Mithilasmitha is attempting to give the way for the Madhubani arts to the modern markets and to protect them from exploitation at the hands of middle men. 1. Mrs. Ihitashri Mishra Borundiya – Managing the sales and marketing of the Art Gallery. 2. Mrs. Sarita Mishra – Managing the Procurement and designing team. 4. Late Mr. Samarendra Mishra – In his age of 35 he joined in SEWA Mithila and learnt the related things and helped well and good to develop the art and the gallery.